Real estate investment is an ever-evolving business which turns a huge chunk of profits if utilized efficiently. If you have been looking after your property portfolio by yourself, there are greater chances you are finding it difficult to screen the legal issues. If so, hiring a property management company is certainly the best choice to hand over the screening process to real-estate professionals. From property maintenance to tenant’s management, a property manager will take over all responsibilities to make your real estate investment a success. As this article talks about how to find a property management company, let’s get straight to the point. There may be dozens of real estate professionals providing property services and ensuring high-end investment returns nearby your place. But selecting a credible property manager who cares about your property portfolio as much as you do is crucial. You can’t just hand over a property worth a million dollar to someone who’s just there to make money, right? In this regard, the following are some proven tips to find a solid property management company. The best property managers are those who themselves have a considerate property portfolio. 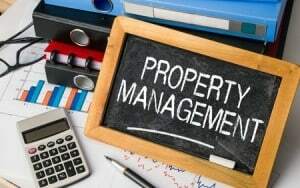 Someone who has been doing property management for his own properties will definitely know the insights and responsibilities of a property manager. In addition, you will also feel a sense of comfort that your manager is aware of his job. The best way to find an authentic property manager is by asking your friends, family members, or colleagues who have just purchased or sold property. If you can’t find enough recommendations, try looking for property management companies in your city. You will get dozens of recommendations simply by searching “property management company near me”. Look at their previous projects, customer reviews, and Google profile to shortlist a few companies. After this, visit each one’s office to select an ideal choice for your property portfolio needs. Ask which areas, types of properties, and property services they provide. Determine your goals before setting up an interview to efficiently finalize a property manager that gets a result. Some property management companies also provide referrals to build trust. Note that all property managers and real estate professionals are registered in the relevant real estate department. Make sure to ask about a license copy or certificate before hiring a property manager from any property management company. This will also serve as a sense of comfort that you have hired an experience yet professional manager for your hard-earned property portfolio. Overall, the fees should be your least concern. After following the above tips, ask about the management fees. The management fee of a property is somewhat 7-10% of the rent. However, it may vary depending upon certain conditions i.e. property condition, maintenance, location etc.